To buy this product, join our CSA by purchasing a CSA Membership, Existing Membership or Odyssey Membership., or log in if you are a member. 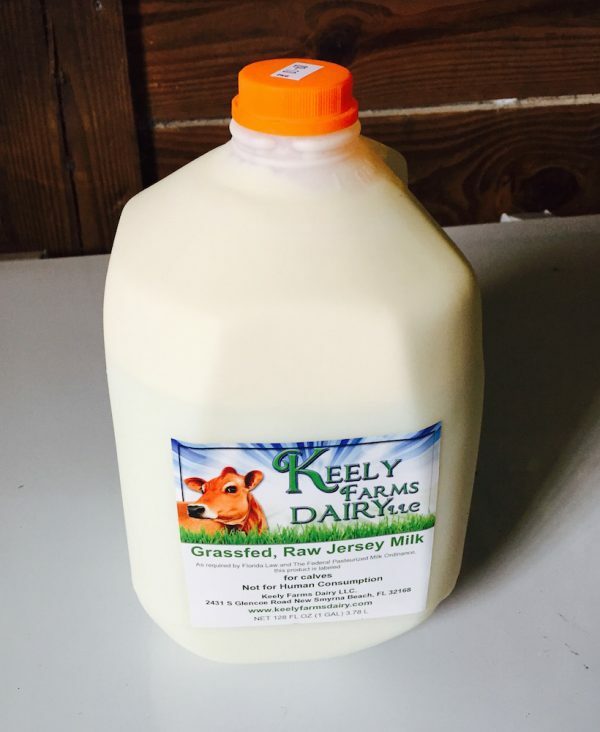 Raw cow milk from our local farm partner, Keely Farms Dairy in New Smyrna Beach. Keely’s local Jersey herd is 100% grassfed, and fed NO grains, antibiotics, hormones or growth supplements. Keely tests every batch of her milk. 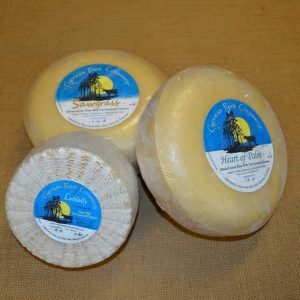 As required by Florida Law and the Federal Pasteurized Milk Ordinance, the product is labeled for calves, Not for Human Consumption. Copyright 2017 | Florida Fields to Forks | All Rights Reserved.